Best Buy in Glenolden! Reduced & Ready! Must see this Home Sweet Home! You will feel the love in this Beautiful 4 Bedroom, 2.5 Bath Colonial. Decorative door leads to the Foyer entry with large closet, Large living room with beautiful hardwood floors, Custom bay window with lighting, formal dining room w/ceiling fan and slider to a large rear patio & shed (10x14). Eat in kitchen with newer appliances, gas cook top (with wok burner), stainless steel sink w/water filter dispenser, dishwasher. There is a convenient 1st floor powder room & outside entrance to the private drive (4 car parking). Wide staircase leads you to the 2nd floor featuring an updated ceramic tiled bathroom, Master bedroom w/double closet and a bathroom with shower stall. 3 additional bedrooms w/double closets and ceiling fans. There is a walk up pull down attic access (w/ventilation)for all your storage needs. Basement has been waterproofed with a sump pump & french drain. Basement offers potential to be a great area for the next homeowner with some cosmetic upgrades. There is a utility room & laundry area. Many updates throughout: Central Air, security doors, Replacement windows. Pride of ownership is evident. 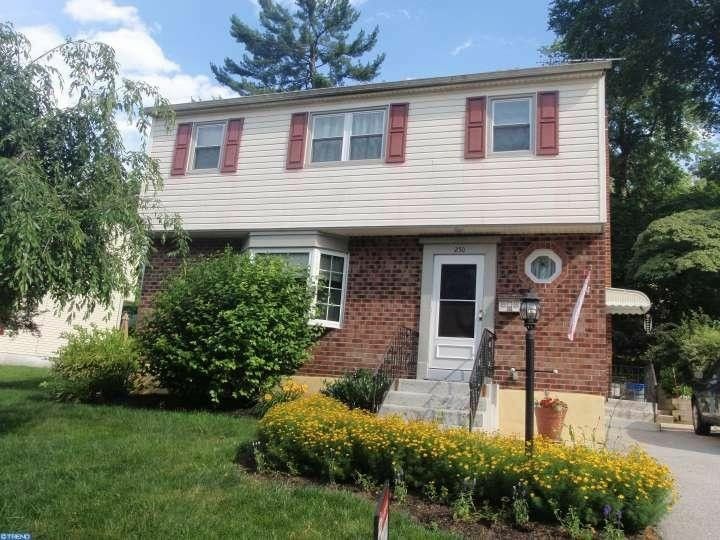 Convenient location, Interboro schools, Train at the corner, minutes to all major transportation routes. Don't Delay, See Today! LA Bonus being offered to the SA for AOS by 2/14/17.